It was a thanksgiving with a difference. 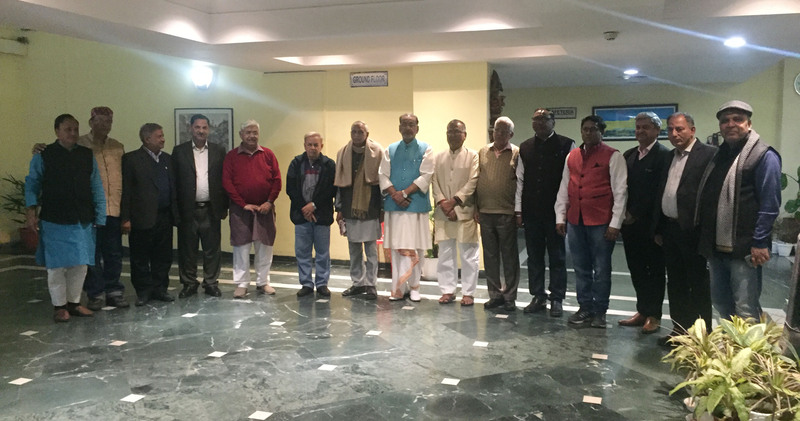 Sahakar Bharati invited just a little more than a dozen people to a dinner in Delhi on Tuesday to say thank you to Union Minister Radha Mohan Singh. Singh came to the function after attending the last day of the Lok Sabha session in NDA’s five-year terms. Sahakar Bharati leaders wanted to convey their gratitude for what Singh did in strengthening the cooperative movement the last five years. Led by Sahakar Bharati newly elected President Ramesh Vaidya and senior leaders including Satish Marathe, the evening turned meaningful when achievements of Singh’s tenure as the Federal Cooperative Minister began to be enlisted by Marathe. Marathe said Singh’s role had been crucial in making the subject cooperative take Centre stage in these last five years. Most of all, Marathe recalled Singh’s contribution in enlisting Prime Minister Narendra Modi’s support for the cooperative movement. “Modi’s participation in Late Inamdar’s centenary celebrations in Vigyan Bahavan would not have been possible without Radha Mohanjee” were the words of Marathe. It is true that the Prime Minister addressed an unprecedented cooperative gathering in which cooperative ministers and co-op registrars of almost all the states participated. Also, cooperative leaders of all hues cutting across party lines were there. In his speech Prime Minister stressed more on co-op spirit than on structure and ignited a debate in TV channels and media across the country for several days. Never ever had co-op been discussed so widely in the country, recall cooperators. 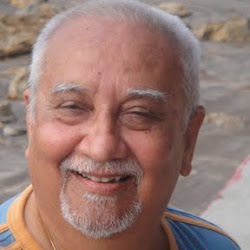 Talking of Radhamohan’s other contributions Marathe recalled how RBI Deputy Governor R Gandhi’s recommendations for conversion of urban cooperative banks into commercial entities was nixed by the Minster when the matter came to his desk. Joining Marathe Alok Kumar VHP’s working president who was present on the occasion along with Bajranglal Gupta, senior RSS leader said ”setting up Kamdhenu Aayog, among others is a very welcome move.” Backed by Rs 700 cr budgetary support setting up of Kamdhenu Aayog has been widely hailed. Another dangerous proposal nixed by the Minister was the Inter-Ministerial Group (IMG) report on unregulated deposits, recalled Marathe. Ruffled by comparison with ponzy schemes in the wake of Shradha and other frauds especially in the eastern part of India, cooperators sought to draw the government attention to the basic difference between credit cooperatives and ponzy schemes. It was Radha Mohan Singh who prevailed on the govt and got it annulled, recalled Sahakar Bharati officials. Singh, who like other MPs would now go back to his constituency to campaign for the upcoming Lok Sabha election sat through the motion silently, nodding now and then while his achievements were being recounted. 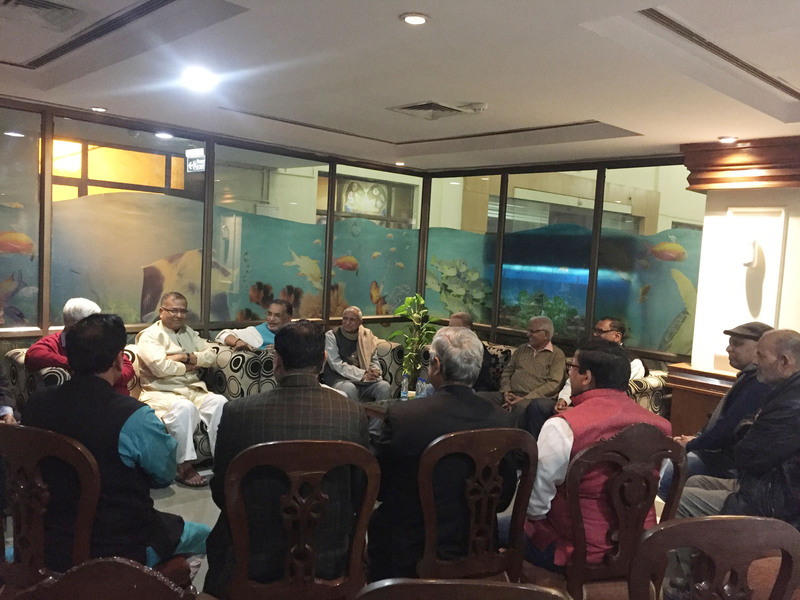 The proceedings were conducted in an informal atmosphere as invitees were mostly Parivar members. The function nevertheless saw felicitation of the Union Minister with shawl and bouquet by Shri Bajranglal Gupta. 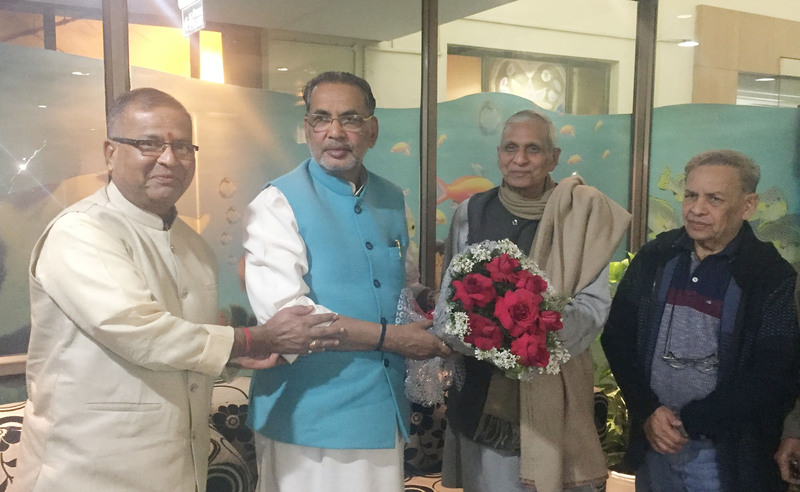 Radha Mohan Singh, on his part felicitated Sahakar Bharati President Ramesh Vaidya who had come all the way from Belgaum to greet the Minister. Some senior Sahakar Bharati leaders including Uday Joshi and Sanjay Pachpor could not make it the event due to last-minute cancellation of their flights. 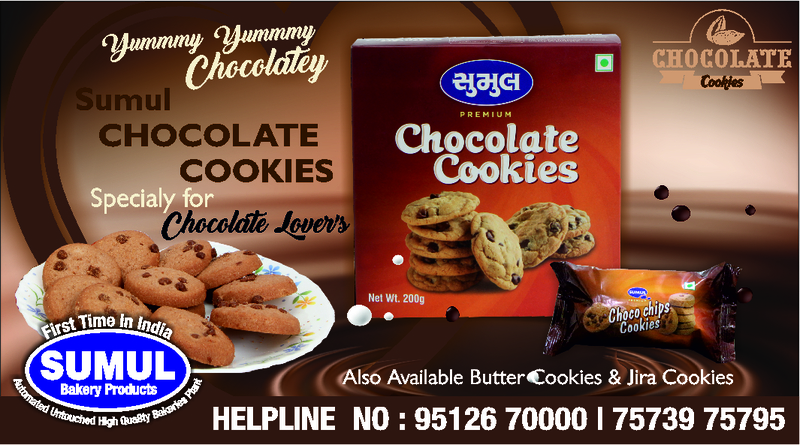 Indian Cooperative was the sole invitee from the media.